(CNN) - Early on the morning of November 28, 2007, Jia Weihan was forced to think the unthinkable: Was her father really a bad man? At the time, she was an 11-year-old attending a school in Beijing that taught her to respect the communist authorities. When 30 or so police officers arrived to arrest her father, she did not know what to think. As it turned out, her father, Shi Weihan, the pastor of a house church, was simply trying to live out his religious beliefs. That should be a fundamental right, but in China - even the more economically liberalized China – it’s not. Twenty-five years after Tiananmen Square - where on June 4, 1989, Chinese soldiers turned their guns on protesting students and activists - freedom remains elusive. In China, Tibetan Buddhists and Uyghur Muslims face worse conditions than at any time over the past decade, according to a report from the U.S. Commission on International Religious Freedom. The report warns that independent Protestants and Catholics face arrests, fines and the closing of their churches. The government recently bulldozed one large church in the city of Wenzhou. 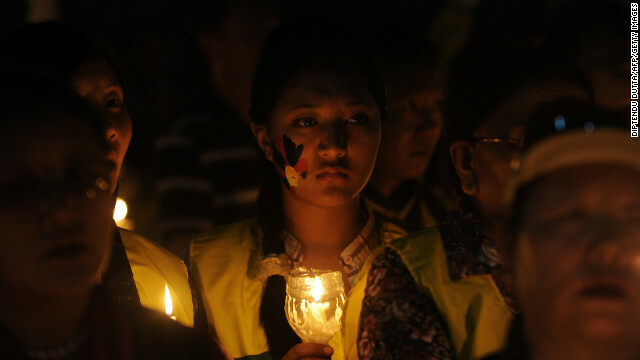 "Practitioners of Falun Gong, as well as other Buddhist, folk religionist, and Protestant groups deemed 'superstitious' or 'evil cults' face long jail terms, forced denunciations of faith and torture in detention, and the government has not sufficiently answered accusations of psychiatric experimentation and organ harvesting." In Shi's case, he had decided not to tell Jia and her 7-year-old sister, Enmei, that he was printing Bibles and Christian literature. That was against Chinese law, so he did not want to put his children in jeopardy by letting them in on the secret. Their children soon came to understand the secret, in a life-altering way. West Hills, California (CNN) - A Los Angeles Christian church and school that had planned two host two Chinese students who died in Saturday's Asiana 214 crash in San Francisco grieved at a worship service on Sunday. West Valley Christian School says 35 Chinese students on the Asiana flight were scheduled to live with church families and join its youth summer camp, where they would learn about American culture and improve English fluency. "We want to grieve. We want to be real and we want love these families that have lost their loved ones,” Derek Swales, a school administrator, told KCAL, a CNN affiliate. (CNN) - A court in southwestern China has given heavy sentences to two ethnic Tibetans convicted of murder for "inciting" people to set themselves of fire, state media reported Thursday. Self-immolation has become a dramatic and harrowing form of protest in recent years for ethnic Tibetans unhappy with Chinese rule. 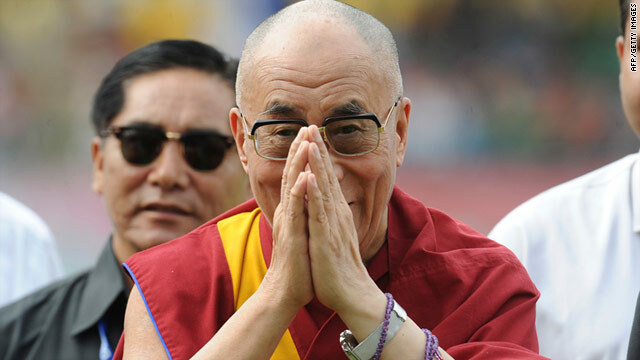 Beijing has taken a tough line on the protesters and their associates, accusing the Dalai Lama, the exiled Tibetan spiritual leader, of fomenting unrest inside Chinese borders. When the Vietnamese monk Thich Quang Duc immolated himself in Saigon in 1963 to protest the persecution of Buddhists by the South Vietnamese government of Ngo Dinh Diem, the world took notice. Malcolm Browne’s photograph of the monk becoming a martyr won the Pulitzer Prize, and Diem's Roman Catholic regime fell before the year’s end. Today, Tibet is witnessing an epidemic of self-immolations. 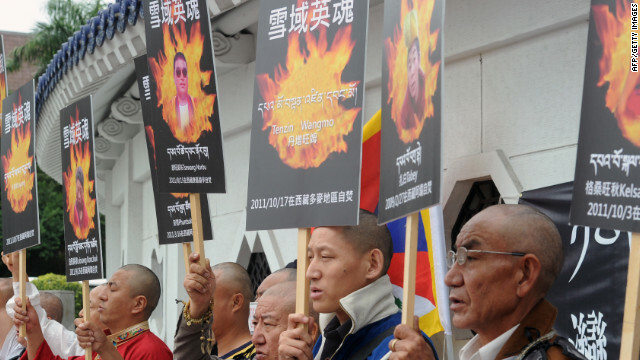 In fact, since March 16, 2011, more than 40 Tibetans have followed Thich Quang Duc’s lead, setting themselves on fire to protest the Chinese occupation of Tibet. Westerners react with revulsion to sati, the Hindu practice of widow-burning outlawed by the British in 1829, and of course to Islamist suicide bombers. The New Atheists are right to protest all this killing in the name of God (or the Buddha) - the way believers both prompt violence and justify it in the name of some higher good. So where are the protests against these Tibetan protesters? The Vatican stepped up its battle with the Chinese Catholic Church this weekend, excommunicating a bishop who was ordained during the week without the pope's permission. Pope Benedict XVI "deplored" the "illicit" ordination of the Rev. Joseph Huang Bingzhang and expelled him from the church because he was "ordained without papal mandate," the Vatican said Saturday. He was the second bishop ordained by Chinese Catholics without Vatican permission in the past month, and at least the third in the past year, as Beijing and Rome struggle over control of the Catholic Church in China. Huang Bingzhang was ordained as Bishop of the Diocese of Shantou in southeast China on Thursday, the Vatican said, although Rome had asked him "on numerous occasions not to accept episcopal ordination." Thousands gathered Saturday on the National Mall to hear the Tibetan spiritual leader talk about world peace.